Looking for used car dealers in Carlisle PA but are not sure where to start your search? Then you need to come the Bob Ruth Ford dealer near you. We have an full and diverse inventory of new and used cars for sale in the Carlisle PA area. We are the only new and used car dealership that you need in PA. Wanting to find a large selection of used cars for sale at used car lots near you? We have new and used cars for sale in the Carlisle area for every lifestyle. With everything from a used Acura car for sale to a used Volvo car for sale. Here at your local used car dealers in the Carlisle PA area of Bob Ruth Ford, we understand that when it comes to finding a used car for sale, the process can seem never-ending. Or even a bit stressful. It does not have to be when you come to our new and used car lots near you. 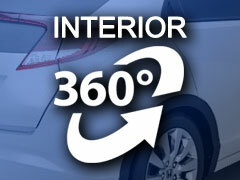 We have a friendly team of knowledgeable people at our car dealers near Carlisle PA. They are happy to answer any and all questions you may have about one of the many used cars for sale near used car dealers in Carlisle PA.
Because we offer quite the lineup of used cars for sale, we also offer excellent deals and more at our local Bob Ruth Ford dealer near you. At Bob Ruth Ford, drivers can explore many different types of used cars for sale. One to check out is the 2000 BMW 3 Series 323i. This used car at our car dealer near Carlisle PA is sure to check off the boxes of wants and needs for your next vehicle. Used cars for sale like this one are full of style as well as features. With the efficient performance, this used car gets an average of 19 miles per gallon in the city. As well as an impressive rating of 27 miles per gallon on the highway. The fantastic fuel economy and performance is sure to give you an amazing time out on the open road. The fuel economy of this used car for sale near you is not the only thing to enjoy. This amazing used car for sale sports many features and options. Including remote entry, alloy wheels, and more. Such as premium sound, anti-lock brakes, and automatic climate control. For comfort and convenience in a used for sale, you just can’t beat this BMW. So come on over to Bob Ruth Ford dealership near you and take it for a drive today! If this incredible BMW isn’t the one for you, check out one of the many other used cars that we have available to you. Come out today to find the right used for you at the used car lots near me of Bob Ruth Ford. Whether it's used cars for sale something new, we have your next car here at our Bob Ruth Ford dealer near you. Give our sales team professionals a call when you're ready to take a used car for sale out on a test drive. Call us at (877) 818-1593. Or stop by Bob Ruth Ford located at 700 North US Route 15 Dillsburg, PA 17019.